Designed to blend seamlessly into your home, glide effortlessly up and down stairs. Designed from the ground-up for any curved staircase, and offering a comfortable and reliable ride. The ideal mobility aid, giving you access to those outdoor spaces you love and have limited access to. Please let us know a few details about yourself, just so we know how to get in touch with you and if you need a stairlift in California installed quickly. An Acorn representative will contact you to arrange a home survey. This is free, takes just one hour and you'll receive a free no obligation quotation afterwards. 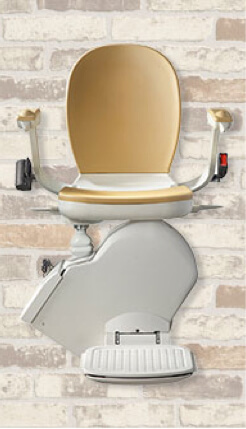 If you give the green light, an Acorn stairlift can be installed in California within just a few days - or even the very next day if it's really urgent. Acorn's aftercare services show that they never stop caring. Contact their dedicated help desk 365 days a year, and extended stairlift warranties are also available. "The best coordinated effort from Acorn advisors to the top installer ever Miguel. There are no complaints here, only praise for all the Acorn staff." "We are very happy to have this stairlift. My wife Molly has a bad foot the stairlift enables her to go up and down the stairs safety." "Alan, our salesperson, was excellent and knowledgeable. Chris, our installer, was also excellent and wonderful." How much does a stairlift in California cost? 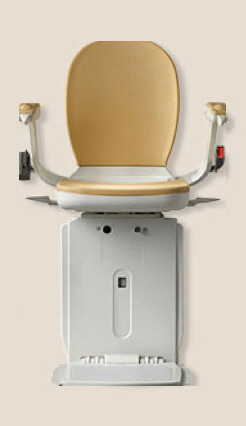 A number of factors will be considered to determine the price of a stairlift in California. All stairlifts from Acorn are custom-made for your staircase and trained surveyors will assess many different aspects before providing you with an accurate written quotation. This will include your staircase's design, the elements that surround your staircase, your personal requirements and any grants and assistance that you have. 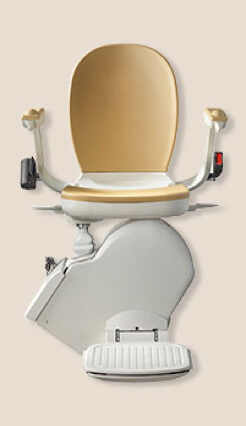 What is the maximum weight that a stairlift in California can carry? This will change depending on the stairlift you select. The maximum user weight of the Acorn 180 Curved Stairlift is 264lbs, for instance, while the maximum user weight of the Acorn 130 Straight Stairlift comes in at 300lbs. An enhanced version of the Acorn 130 is also available, which has an increased upper weight limit of 350lbs. Will a stairlift in California fit if my staircase is narrow? Can I use a stairlift in California if I have problems bending my knees? This shouldn't be an issue, as the Acorn Sit/Stand Stairlift is an option that helps users with trouble bending their knees because it requires limited knee articulation when used. Will a stairlift in California be suitable for me if I have a disability? All stairlifts from Acorn are designed to ease difficulty with many disabilities, with all of your circumstances considered when finding the stairlift that's perfect for you. How long does it take to install a stairlift in California? A stairlift from Acorn manufactured to the exact dimensions of your home can be installed in less than an hour. Curved stairlifts may take longer, though we assure you that all disruption will be kept to an absolute minimum. All stairlifts will be thoroughly tested once installed too, while all their features will be demonstrated to you as well to ensure you're perfectly happy with the equipment as know exactly how to use it. Will I need to redecorate once my stairlift in California is installed? No unsightly repairs will need to be made, as a stairlift from Acorn will be fitted to your staircase and not the wall of your home. Acorn's installers will also leave everything as clean and tidy as they found the home at the beginning of their work.